The new year brings lots of new projects and things to the surface that need to be implemented or managed. With that there’s a certain level of time needed to dedicate to each of those. That being said, I’ve been so hard pressed for time as of late that I have been heavily dependent upon quick meals and snacks. The most time that I’ve had for breakfast prep is overnight oats. If I can’t do that then I’m left with a banana on my way out the door for work. 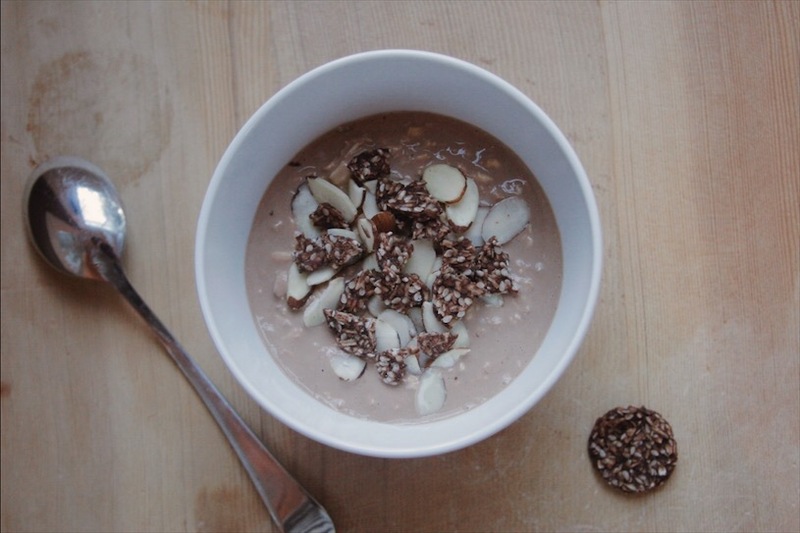 I love incorporating superfoods in to my diet and breakfast always seems the perfect opportunity for that. Not to mention that your gut absorbs more nutrients in the morning than it does at any other time during the day, so “starting your day off right” starts to ring more true. Recently I have absolutely fallen in love with REBBL drinks. They are “elixirs” or drinks that incorporate superfoods and herbs like maca, reishi, ginseng and more. I’ve found that these vegan, coconut milk-based drinks are extremely versatile in the kitchen as well. 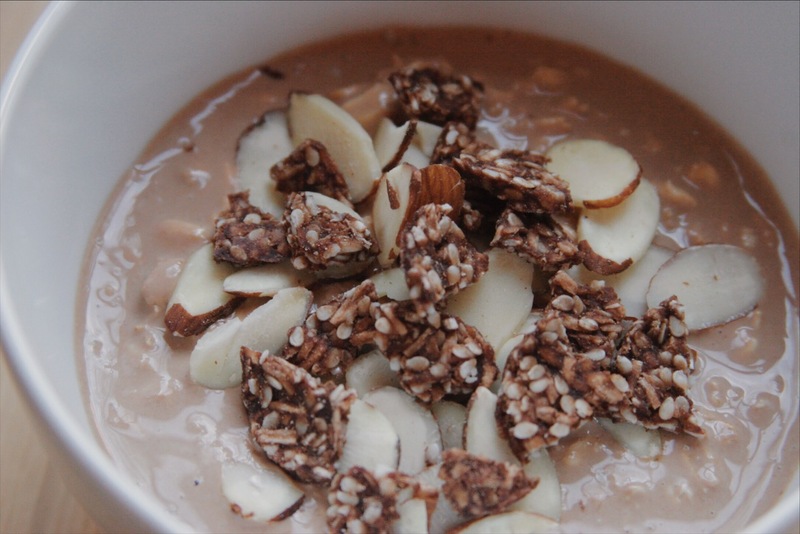 I had the wonderful idea to make overnight oats with my Maca Mocha elixir and my always on hand Siggi’s 0% plain skyr. It was super easy, fast and delicious. No need to add any extra flavors or sweeteners as it’s already super flavorful and sweetened with coconut sugar. In a sealable jar mix together the yogurt and liquid until fully combined. Stir in the oats and chia seeds until well mixed. Seal the jar and place in the refrigerator overnight. Take out the next morning and enjoy! Eat within 24 hours. Additionally, you can add any toppings of your choice such as toasted coconut, toasted nuts, or fresh fruits. 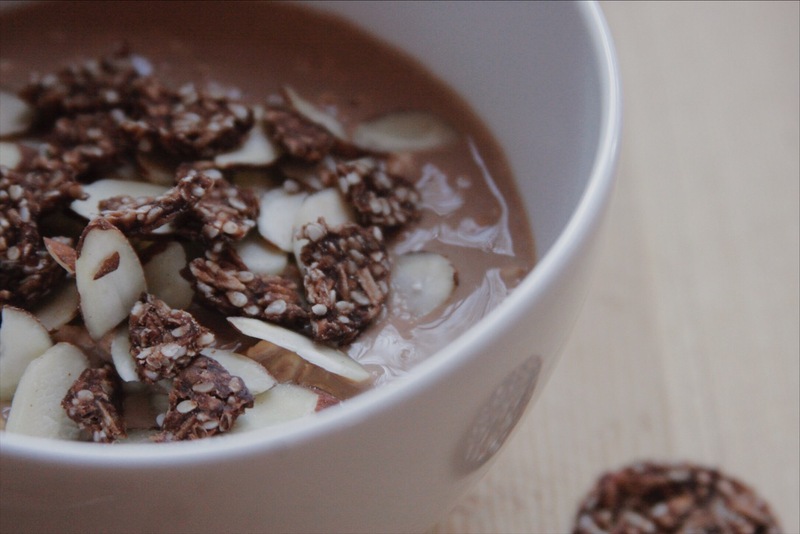 I used Go Raw‘s choco crunch sprouted cookies crushed up with toasted, slivered almonds. I feel so great and accomplished with simply eating a healthy breakfast that I know I made and tastes delicious. I love my bananas, don’t get me wrong, but there’s something almost luxurious to me about taking 5 minutes out of your morning to really enjoy something, for yourself. *This is not an add. I’m truly just an avid fan of the products that I mention in my recipes, stand firmly behind them and want others to be exposed to them, too.